Say hello to The Empire Strikes Back Han Solo Jacket worn while playing the iconic character in the 1980 Star Wars sequel. 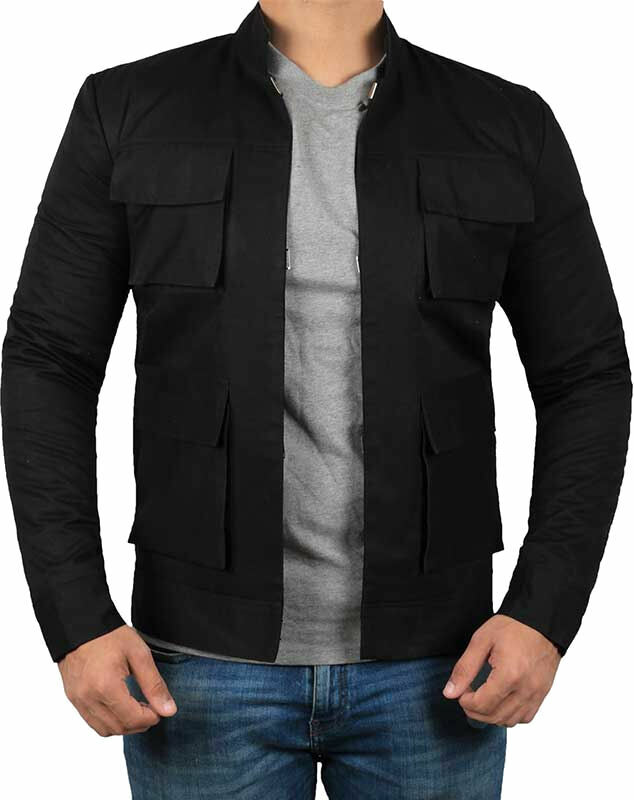 This jacket is styled after the classic Han Solo costume from The Empire Strikes Back and is made of cotton fabric while viscose is stitched inside to make it soft and cozy, so whether you are chillin' in Echo Base or stylin' in Cloud City you'll be turning heads. There are two inner pockets and five outside pockets, including one on the sleeve. It's a style that'll last years to come and guarantees to keep you fit. Normally $189.00, Film Jackets has dropped their price to $99.00 until December 7th, and it comes with free shipping and a 90-day return too. Order now to get it in time for Christmas.